Abraham Lincoln, the 16th President, serving from 1861 – 1865, was one of America’s great leaders, demonstrating uncommon courage during the Civil War, one of the greatest crises in our Nation’s history. 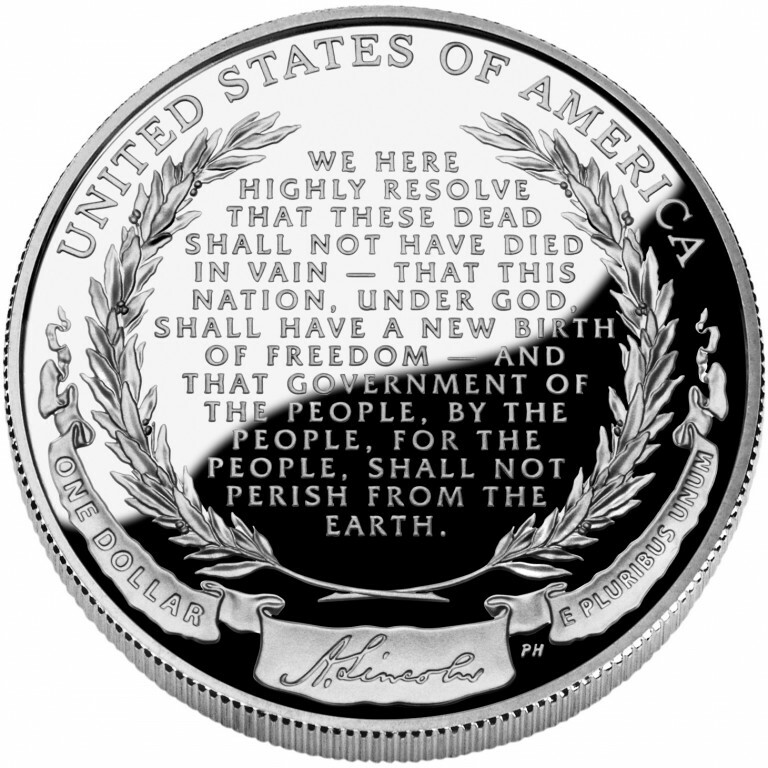 His life is commemorated in music, poetry and sculpture; his words are quoted by poets and politicians; and his face appears on coins, currency and postage stamps. Mountains, cities, highways and schools throughout the country bear his name. 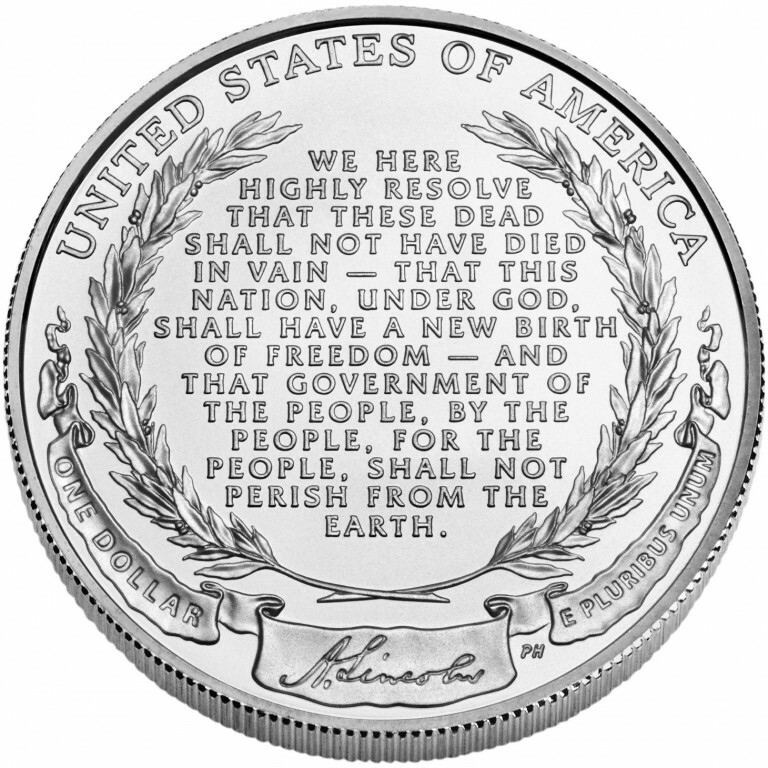 The year 2009 marks the bicentennial anniversary of Lincoln’s birth, and the Secretary of the Treasury minted and issues $1 silver coins in commemoration of this milestone anniversary. President Lincoln had a generous heart, “with malice toward none, with charity for all.” He gave the ultimate sacrifice for his country, dying from an assassin’s bullet on April 15, 1865, just days after the end of the Civil War. 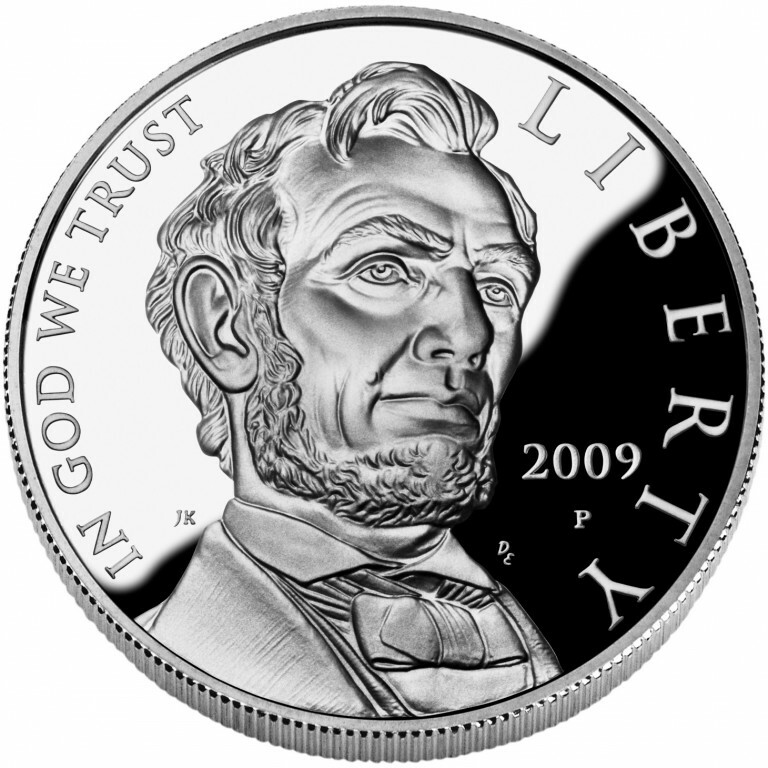 The obverse (heads) of the 2009 Abraham Lincoln Commemorative Silver Dollar features an image of President Lincoln. 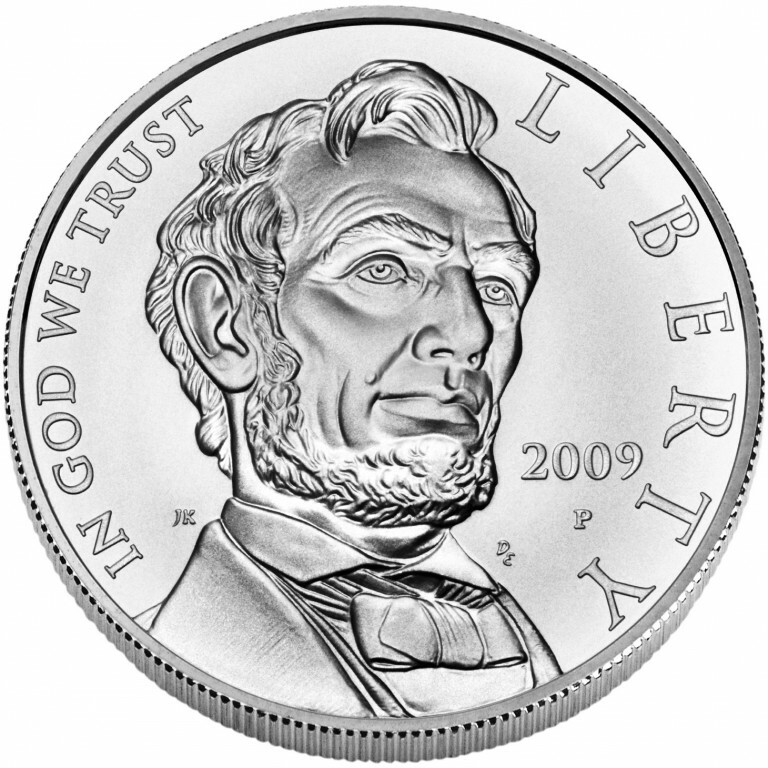 The image is symbolic of Lincoln’s strength and resolve, and was inspired by Daniel Chester French’s famous sculpture of the President that sits inside the Lincoln Memorial in Washington.